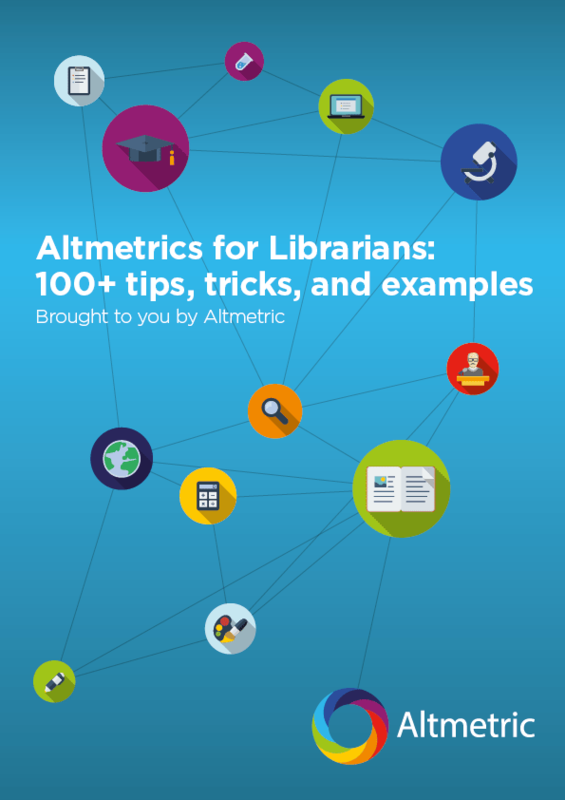 Altmetric have been a supporting member of ORCID, an organization which enables researchers to create a unique identifier for themselves that they can then associate with all of their research outputs, since early 2013. It’s always been possible for our database to capture and store the journal and publisher information for the 2.5 million+ published articles and datasets we’ve seen mentions of online in the last few years, but matching those outputs back to an author represents more of a challenge. Whether it is a researcher with the same name as another, a different spelling or use of just an initial and surname, or a change of family name, it can be very hard to generate a consistent and reliable record of scholarship. ORCID offers a solution for many of these roadblocks,and it’s adoption is being encouraged globally by institutions, funders and publishers. We were therefore very excited when one of the teams at the hack day decided to focus their efforts on building a tool that brings the Altmetric data and ORCID IDs together – meaning you could easily find and browse the altmetrics data for any output that was associated with a specific ORCID ID (i.e. a specific researcher). We built a test version, where you could enter in the ORCID ID for any researcher and (complete with magical spinning donut) you’d get back all of the Altmetric data and a breakdown of the mentions for all of that author’s output. This test version was available for a number of years, but has since been deprecated. 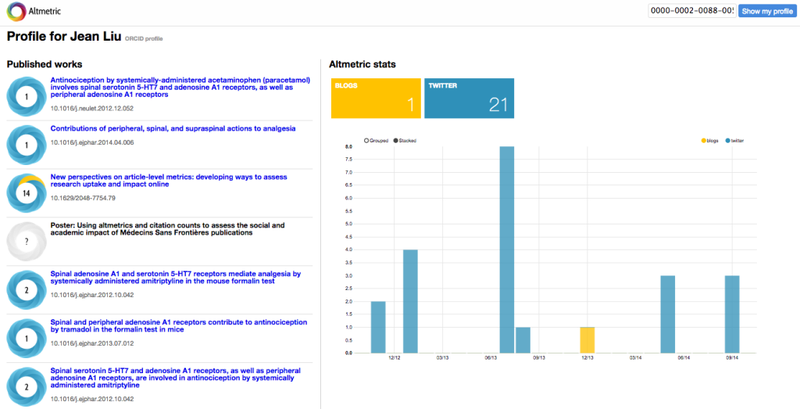 However, the lessons we learned from the hack day app helped us develop our ORCID integration in the Altmetric Explorer. We’d love to know what you think and will be looking to build more ORCID integrations into the Altmetric tools in future. seems like a nice tool and it almost worked for me. I think that the main problem comes from ORCID itself, where it's very hard to edit or relink the works on your profile. As a result, if a work is found through Europe PMC, then the link goes to Europe PMC, which might not have been Altmetric'd. However, for the same paper, if you google the title and click on the publisher's page, you realize it's been altmetric'd far better. So further than unique IDs for researcher, ORCID should really pay attention to DOIs rather than trusting databases. Same goes for Altmetric. The websites such as ORCID that provide the researchers' profiles are good tools on the web.